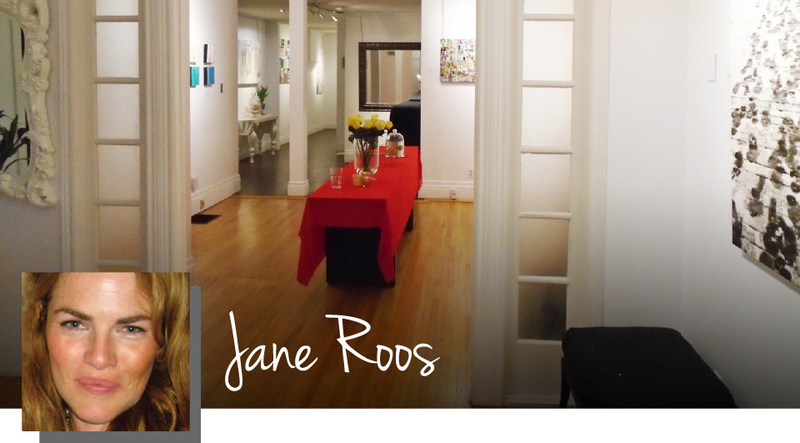 Jane Roos is a successful artist and owner of the Jane Roos Gallery in downtown Toronto. Her paintings are sold across Canada, USA and Europe. Jane has created a number of commission paintings for corporate Canada and has also painted to raise support for charity initiatives like CAN Fund. Additionally, Jane has painted in collaboration with famous Canadians including Prime Minister Justin Trudeau, George Stroumboulopoulos, Rick Mercer, Dr. Roberta Bondar, Joffrey Lupul, Gord Downie, and many more. The Jane Roos Gallery opened in 2008 and is located in Toronto’s historic Corktown district. The Gallery exhibits Jane’s work along with the work of many Canadian artists while also hosting various events throughout the year. Jane is also the Founder of CAN Fund a not for profit organization that raises direct funding for Canadian athletes. Passionate about helping people succeed and celebrating the impact people play in our lives, Jane has combined her love and talent of art in a very meaningful way by creating the New CAN Fund Impact Campaign which features CAN Fund 3 Words Original Paintings by Jane. The CAN Fund 3 Words Original Paintings are giving people the opportunity to celebrate those who have impacted their lives while at the same time continuing to impact the journey of our Canadian athletes training to be the best in the world.